Wheels are Wear-resistant The bearings are made of ABEC-5 Carbon Steel that provides sturdy and durable performance while allowing the wheels to rotate freely and smoothly. Wheels are Wear-resistant The bearings are made of ABEC-5 Carbon Steel that provides sturdy and durable performance while allowing the wheels to rotate freely and smoothly. Polyurethene wheels of size 72 mm Durable Light Aluminium Chassis Built-in brakes at the rear of the skates The wheels of the inline skates are resistant to damage ensuring that your child can use the skates for a long time. Skating is a great way to keep you fit. 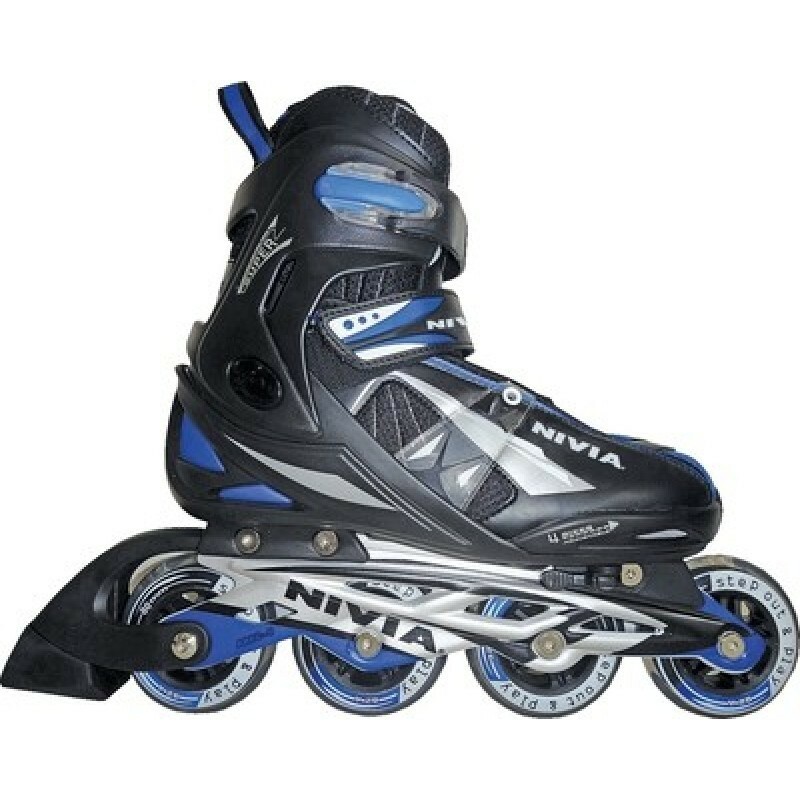 Get yourself these Nivia Super Roller Inline Skates which have been designed to give you a comfortable and fun skating experience.They are easy to wear and take off. 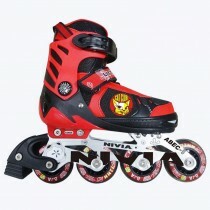 The carbon steel ABEC-5 bearings of these skates give you added speed and efficiency. Skates are durable and sturdy, thus lasting you for a longer time.They have been built for maximum output. As these skates have polyurethane wheels, they don’t wear off easily and promise you of durability.